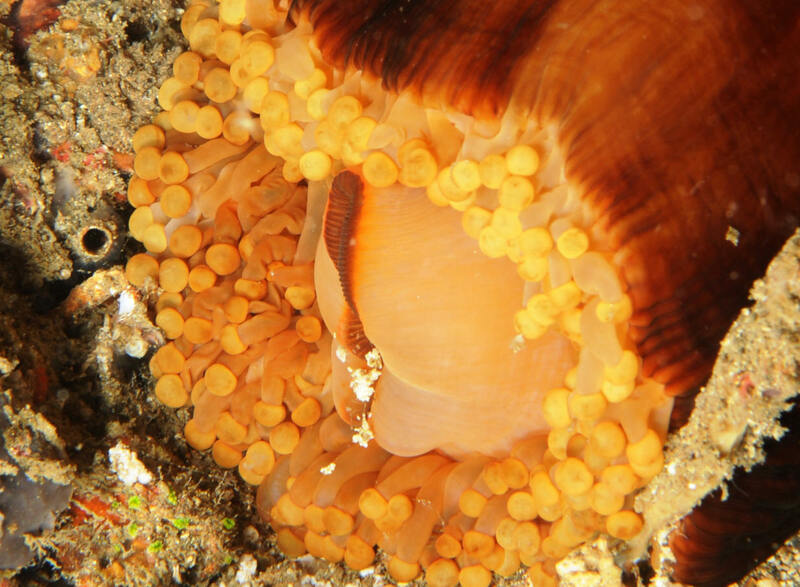 Heteractis magnifica (Quoy & Gaimard 1833), the Magnificent Anemone. To thirty some inches across (a meter). Tentacles and oral disc of the same color, with a base/pedicle also colored... Typically purplish, but may be red, white/tan, brown, green or blue. Previously and in older literature often labeled as Radianthus ritteri (Hence this species is also often referred to as Ritter's or the Ritteri Anemone). Found widely in the Indo-Mid Pacific; East Africa and the Red Sea to Australia, S. Japan, to the Tuamotu Archipelago (French Polynesia). An orangish one here in N. Sulawesi 09. 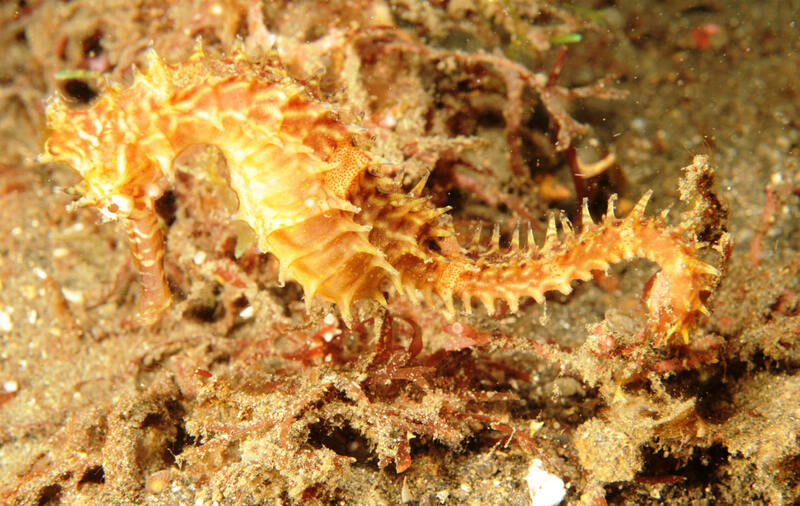 Hippocampus histrix Kaup 1856, the Thorny or Spiny Seahorse. 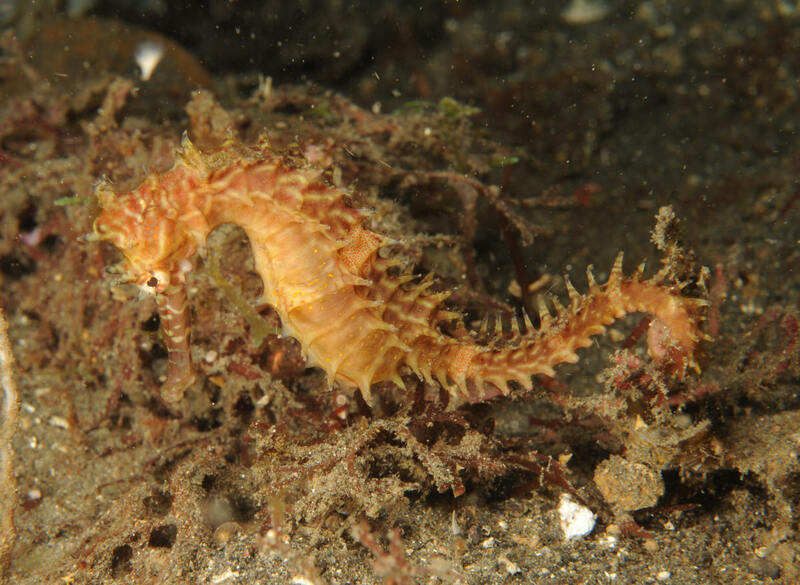 Indo-Pacific; East Africa to Hawai'i in shallow, sandy habitats, usually associated with macro-algae. Color variable; red, orange, yellow... long shout with white speckling. To 17 cm. in length. Common species in the pet-fish and traditional Chinese medicine interests. N. Sulawesi pix. Hypselodoris nigrostriata. Oman, Chagos Islands, Thailand. To 4 cm. Yellow bodies, purple lines, red rhinophores and gills... N. Sulawesi image.